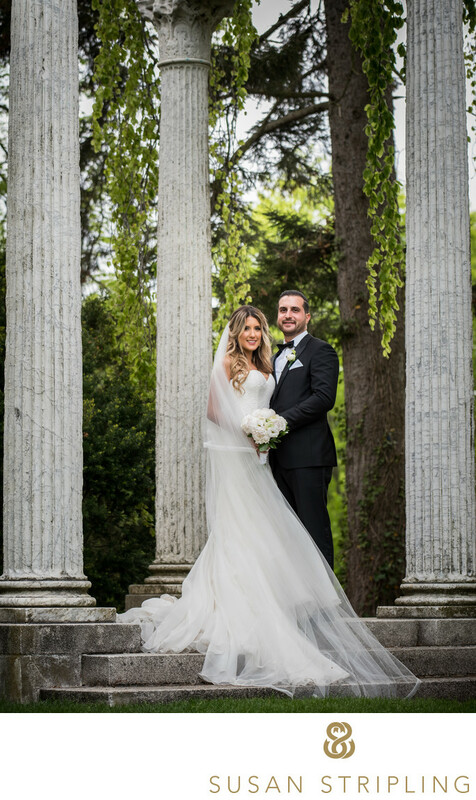 Is there anywhere better for wedding pictures than Westbury, New York's Old Westbury Gardens? 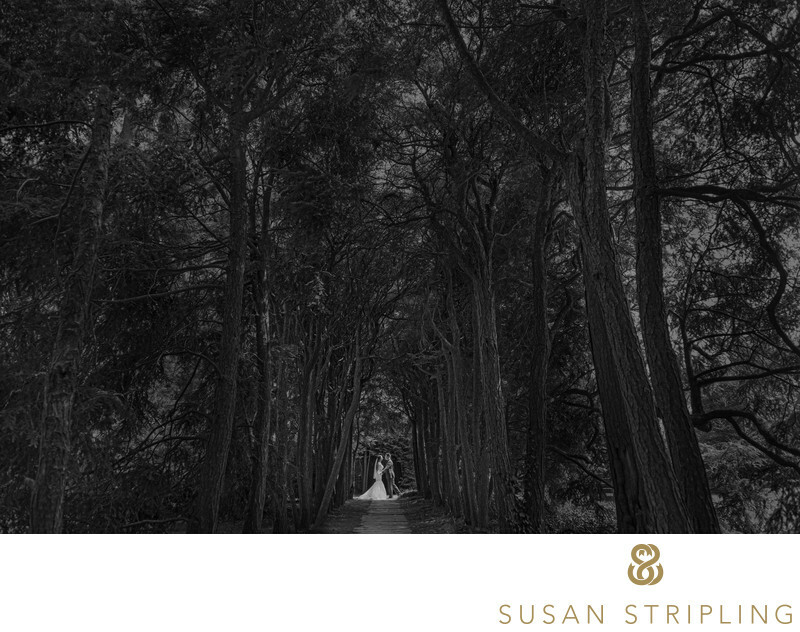 Old Westbury's site proclaims : "Lush flower gardens, tree-lined walks, and the grand architecture are the perfect romantic settings for wedding photography." I would be inclined to agree! This picturesque garden location is extraordinarily popular with brides, grooms, wedding parties, bridesmaids, groomsmen, and families of the wedding couple. It is a popular location for pictures, especially on a wedding day! For that reason, and to preserve the integrity of the site, Old Westbury has a very specific permitting process that a wedding has to go through in order to take wedding day pictures on the grounds. 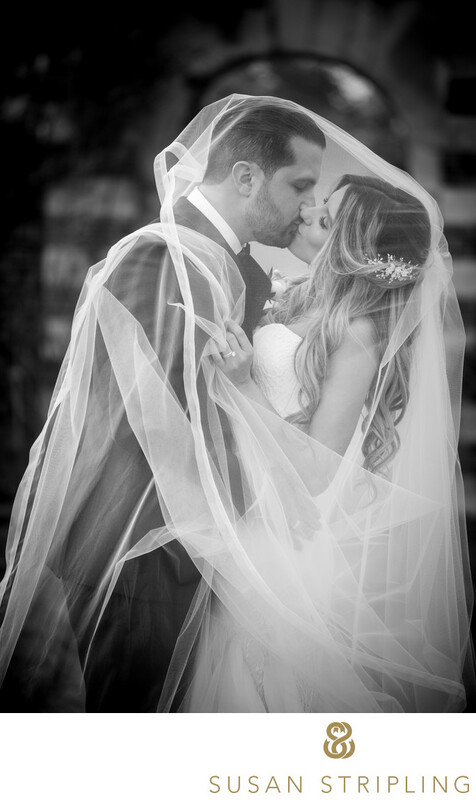 First of all, you need to plan far in advance if Old Westbury Gardens wedding pictures are something that you desire on the day of your event. Permits must be applied for at least eight weddings in advance of the day you'd like to be shooting there. This means that you have to plan more than eight weeks in advance of your wedding date in order to obtain this permit. If you go to Old Westbury Gardens' website, you can download the permit directly and fill it out. Before you do that, however, you should contact Old Westbury and make sure that your date is available! They do limit the number of people who are using active permits during active time slots, and they go quickly! You'll want to act fast to make sure that you get the permit you want on the day you need, in the time slot that you desire. The permit fee is based on what time you and your wedding party will arrive at Old Westbury for your photo session. It covers up to twenty guests, which includes family and bridal party but does NOT include any wedding vendors that will be with you at that time. Photographers, videographers, and wedding planners are not part of that twenty, which means that you can bring your entire documentary team without having to sacrifice a single bridesmaid or family member! If you choose to take pictures between the hours of 9:00am and 3:00pm there is one set fee. As of May 2017, that fee was $325. If you choose to take your wedding day pictures after 3:30pm, the rate changes. As of May 2017, that post-3pm rate is $450. As of May 2017, you cannot choose to shoot before 9am or after 5:30pm. An additional $75 for five to nine added guests. An additional $100 for ten to fourteen added guests. An additional $200 for fifteen to nineteen guests. An additional $250 for an additional twenty or more guests. If you are arriving in more than five cars or vehicles, you'll be charged an additional $20. How much time will my permit allow me to take wedding pictures? Old Westbury is fantastic in that your permit allows you ninety minutes to take pictures. This is a great amount of time. What could you shoot during this time? The ninety minutes is fairly strict, and does begin the second we arrive at the Garden. But be careful! If we're more than fifteen minutes late, you'll forfeit your permit! Ah, rain. Something no bride or groom really wants to consider on their wedding day. However, having a rain plan is imperative if any part of your day is to take place outdoors. Whether your wedding day will include an outdoor ceremony, cocktail hour, or portraits, you need to have a backup for all of those things! You don't want to have to worry about this on your actual wedding day! Old Westbury Gardens gives you two options if it rains on the day of your wedding and the day you have a photo permit. You can choose to take your wedding day pictures inside Westbury House, or you can choose not to. 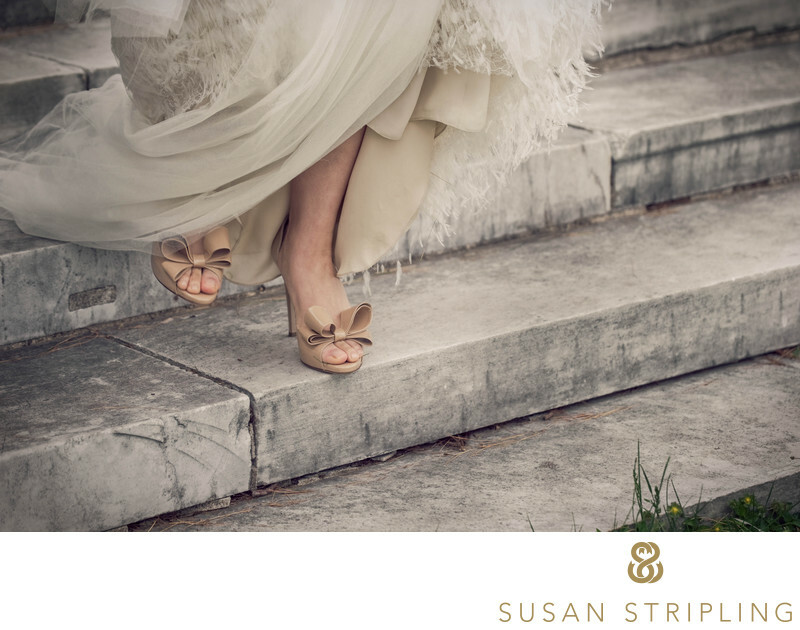 If you choose to take your wedding day pictures inside Westbury House you forfeit any type of refund or ability to reschedule. 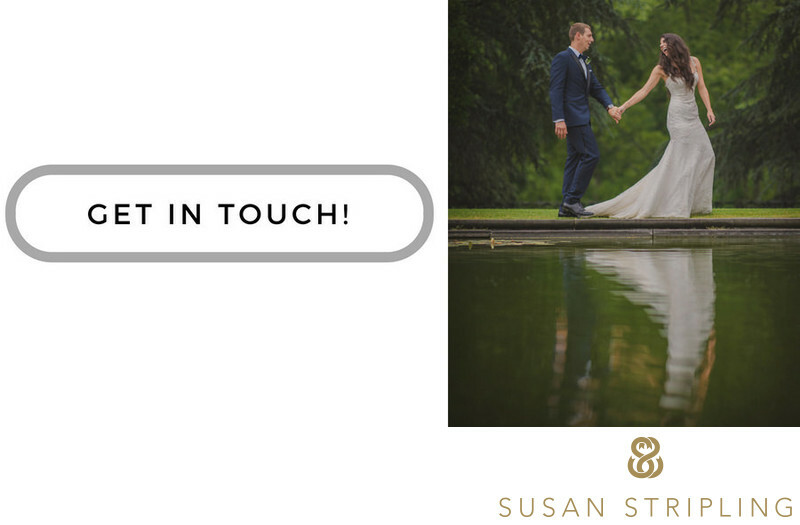 If you choose NOT to take your wedding day pictures inside Westbury House, you'll be eligible for a full refund. You have to make this call before your session starts, because if you begin and change your mind it will affect your ability to obtain that aforementioned refund. Make sure you read the terms and conditions of the permit completely! The website advises that you do this, and I advise it, as well. The information here is current as of May 2017, but can be subject to change with Old Westbury at any time. What info do I need in order to complete the Old Westbury Gardens permit form? Your address, including the street address, city, state, and zip code. You will then fill out the date you'd like your shoot to take place. At this time, you'll have to list out your desired arrival and departure times for your photo session. You will also indicate if you'd like an additional hour of time in the gardens for an additional $100 fee. This is a simple check box you'll want to look for right under the date/arrival time/departure time section of the permit application. The next part of the form will ask about the vendors you'll plan to bring with you. You'll need to know their address and telephone numbers, so be prepared! These vendors will include the photographer, videographer, transportation company, and wedding planner or coordinator. The last part of the permit form for Old Westbury will detail your payment information. You can make your payments to Old Westbury via check or credit card, whichever you prefer. You'll need to pay your $100 retainer to reserve the date, and be prepared to settle your balance eight weeks out from your scheduled permitted shoot date. If you're going to pay via a credit card, here will be where you'll put in your credit card number, expiration date, cardholder name, security code, and signature of the cardholder. Are there terms and conditions to consider when getting a photo permit? As with any good legal contract, there are terms and conditions at the bottom of the Old Westbury photo session permit application. As of May 2017, I'll summarize the most important ones for you! First of all, Old Westbury Gardens confirms that they adopt the "first come, first served" method of assigning permits to potential clients. Old Westbury Gardens assigns each photo session a guide to help them around the grounds. Not complying with the Guide can result in having your permit rescinded and forfeiting the entire location fee. Everyone in your wedding party, including family and friends, cannot leave the presence of the Guide. You and your guests are expected to behave while at Old Westbury Gardens. This means no fighting, no swearing, no harmful behavior, and no obscene behavior. No alcohol. At all. Ever. No picking, stepping on, harming, or intruding in any way on the property, flowers, plants, or foliage. No rice, no flower petals, no birdseed, no confetti, and no balloon releases. After this, the Old Westbury Gardens permit application terms and conditions talks about insurance and liability. This means that any vendor that you bring to Old Westbury Gardens with you for your photo session has to have insurance. They will be expected to submit proof of that insurance to Old Westbury Gardens directly before your photo session can take place. This clause also needs to be read very carefully, as it talks about the wedding couple and their liability and responsibility. It's crucial that you understand what these terms and conditions are saying and that you know precisely what you're signing! Fees, balance due dates, and additional items that can cause your fee balance to increase. The time of your session, how long you have in the park, and what the overtime policies are. What changes the user can make to the permit and how Old Westbury Gardens will respond to those requests. How payment is received and expected. What the cancellation and refund policy is with Old Westbury Gardens and what their terms are. What the rain policy is. This is super important for you to read and fully understand! How to drive on the property, where to park, and how vehicles will be escorted around Old Westbury Gardens. As you can see, the terms and conditions section of the Old Westbury Gardens permit application is extensive. You must read it thoroughly and understand everything that you're signing before you sign it! 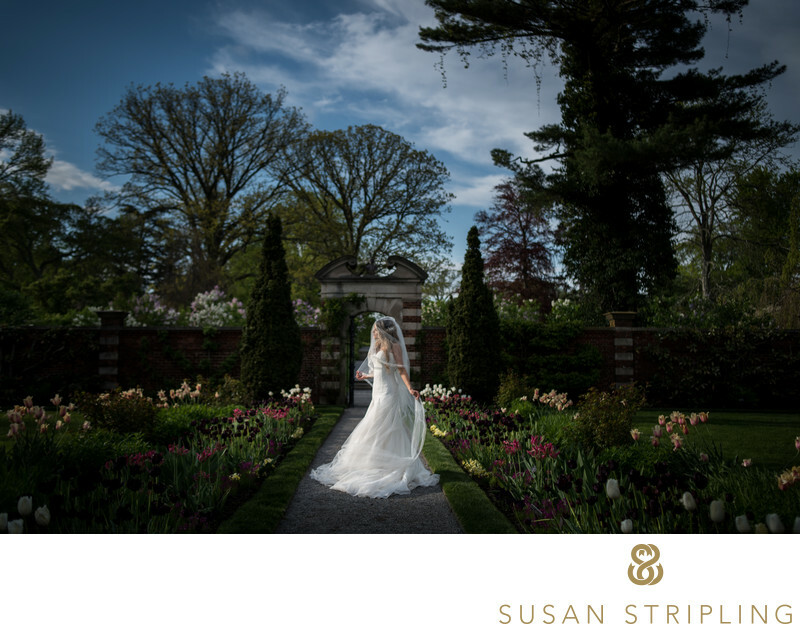 There are so, so many incredible scenic locations for portraits at Old Westbury Gardens. The West Lake is a flawless photo spot, especially in the fall. The riot of fall foliage and the reds and oranges light up the background of this spectacular location. The West Stairs offer up a unique vantage point. The views of Old Westbury Gardens from these stairs truly has to be seen to be believed. It's a great place to shoot towards the gardens as they sprawl out behind you. It's also a wonderful place to shoot towards the stairs, highlighting their beauty. If you find yourself inside for your Old Westbury Gardens portraits, the Red Ballroom is a brilliant choice. 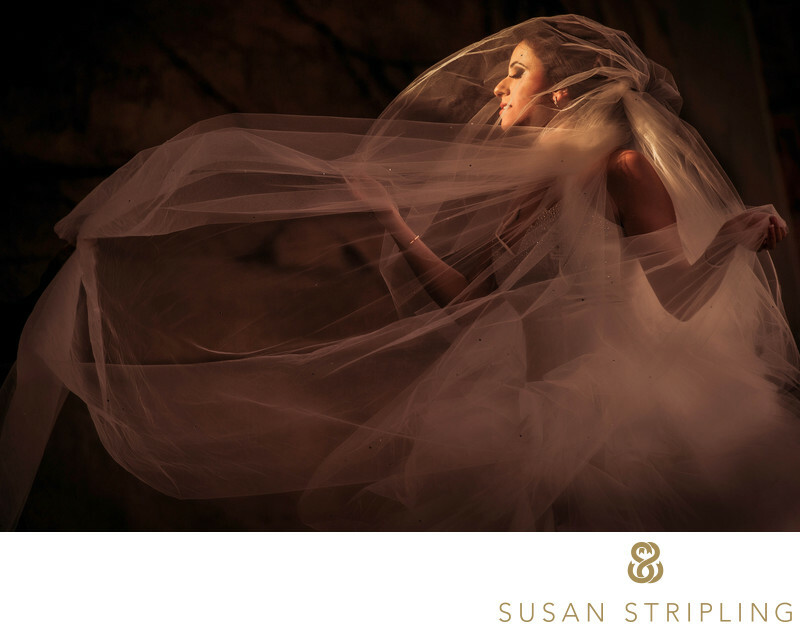 The luxurious deep walls are a gorgeous background for any wedding day picture. The Walled Garden is one of my favorite locations in Old Westbury Gardens. The beautiful wrought iron gates that lead into the Walled Garden are ornate, grand, and create a gorgeous passage between the rest of the gardens and this particular area. The paths that lead into and out of the Walled Gardens are exquisite, and the landscaping in the Gardens is absolutely stunning. The Walled Garden also offer up a beautiful pond with floating lily pads, a small fountain, and a gorgeous pergola looking over the beautiful pool. There are dozens of amazing photo locations in just the Walled Gardens alone! The Boxwood Garden and Rose Garden are also two unique photo locations specific to Old Westbury Gardens. The landscaping of the Boxwood Garden is modern and dramatic, and when the flowers are in bloom the Rose Garden is unparalleled in it's perfection. 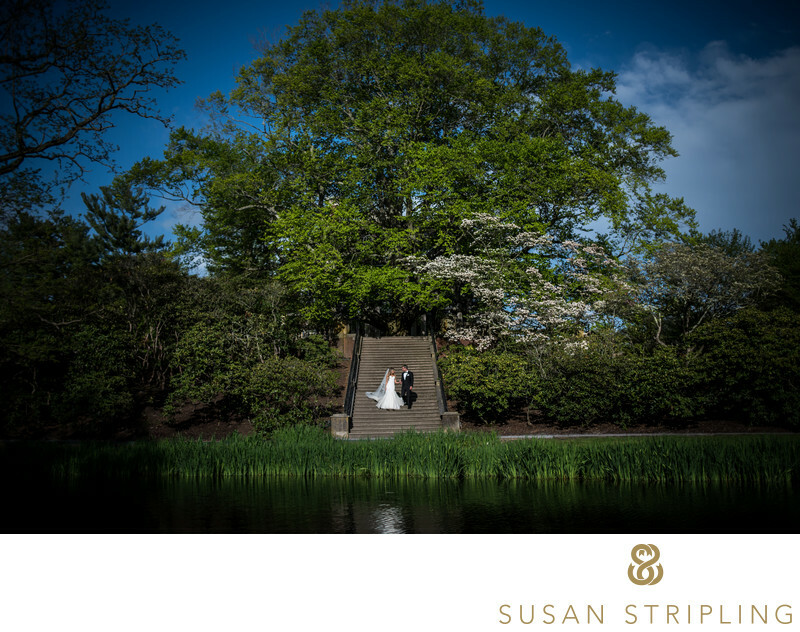 If you want to do your wedding pictures at Old Westbury, get in touch! I'd love to talk to you about my favorite locations, help you plan for the time in your timeline, and answer any questions you might have.